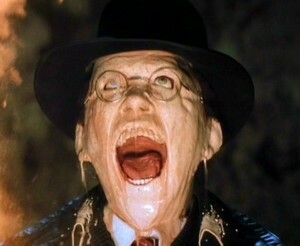 Good Morning my fellow casuals! Are you tired of playing the same strategies? Do you find yourself not caring about defeating your opponents? Well you may be suffering from Try-Hard Anemia. If you’re an older casual player and you feel these symptoms talk to your local OSMP (Old School Magic Player) about Bling Counter and the Durdle Die. These may be the cure for you! Side effects may include, but not limited to: Amusement, confusion of others, and low bank accounts. Keep away from small children and Spikes. All formats of Magic can become stale if left unchanged. This applies to both Standard and all the eternal formats, EDH included. Wizards has (in most cases) done an admirable job of attempting to print new cards that will ‘shake up’ their targeted formats. 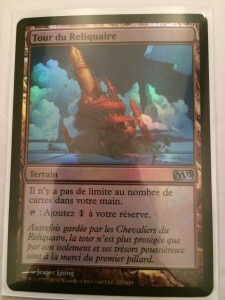 This past year Legacy and EDH received a new infusion of strategies and cards in the form of the Commander 2013 pre-constructed decks. In practically every playgroup there will be at least one new commander that was introduced in the last year. This is healthy for the format, and general play groups to help keep them fresh. 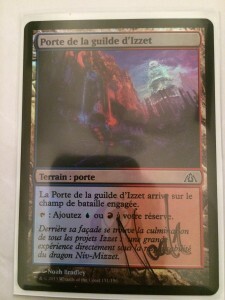 Although Wizards has stated that we will be receiving a new commander product each year, what about the time between now and the next Commander related product? (Conspiracy appears to be oriented like Modern Masters) How do you keep the games interesting? Or what if you’re an old jaded player looking for ways to be entertained? Well today I’m going to present two different things to keep track of that can be fun for you and your group: the Bling Counter and the Durdle Die. First lets go over the strategic significance of ‘Bling’. It shows all the ladies you’re superfly. It confuses your opponents with sparkling baubles of doom. Okay I’m stretching here, ‘Bling’ does little else but draw attention to the cards you are playing, and impress players that you went out of your way to get an atypical version. In most cases you are better off sitting next to someone with the all foil deck than being the one with it, but where is the fun in that? In the end ‘Bling’ is an entertaining side project for players with no real benefit other than pride or humor. Notable exceptions include (but can be adjusted for your playgroup): Full art land and alternative art (via pre constructed decks). In my experience they are too easily accessible, though the further from Zendikar we journey perhaps those can be included. If a card as multiple attributes you get multiple points! Slowly I’ve been altering and foiling my own Zedruu the Greathearted deck-I find people are even more excited when I Donate their doom if it’s shiny. Expenditure of resources to look at a subset of cards without an increase of cards in hand or in play. This does not include tutors. Effectively it means you’ve either broken even in cards or have loss cards. The classic example of a ‘durdle’ is Sensei’s Divining Top’s first ability. You’ve expended resources to look at a subset of cards, and have netted no cards in hand or in play because of it. 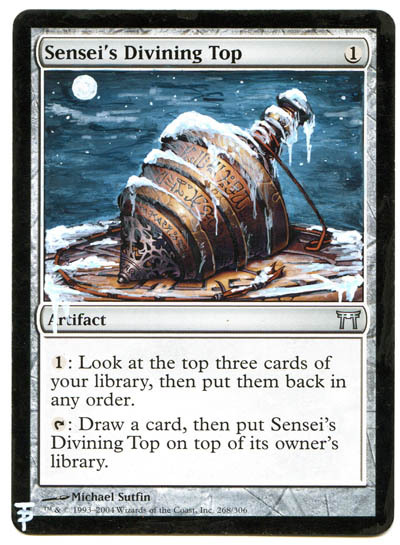 Because of this Sensei’s Divining Top is considered card disadvantage, however the power of it being able to smooth land plays or set up miracles makes up for it in decks designed for it. 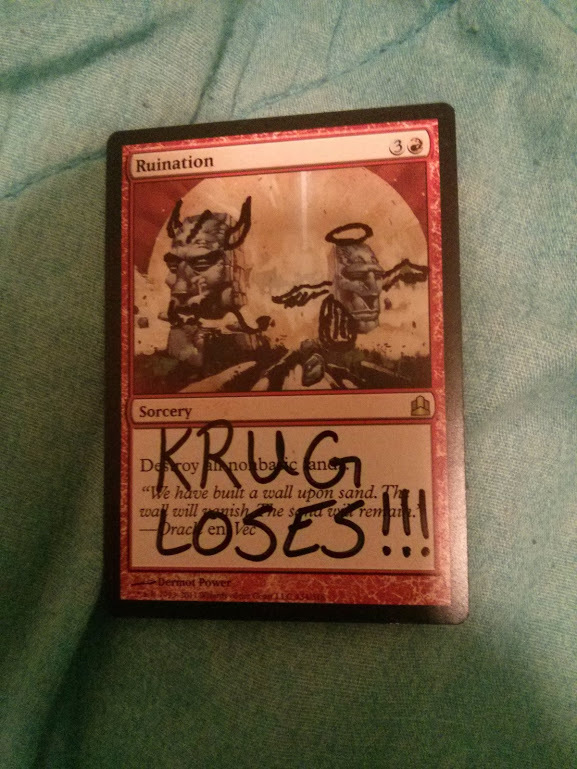 Even in EDH 9/10 times the Durdler is doing this for a reason. For the purpose of ‘the Durdle Die’ it’s considering a +1 Durdle. Something you may notice is that many of these are repeatable effects, which in combination with shuffle effects (like Fetchlands) can generate extreme durdling or ‘durdle-bating’. None of the above cards net you a card in hand or in play. The most surprising inclusion is probably Brainstorm, however when you include the card itself the number of cards in your hand remains the same. 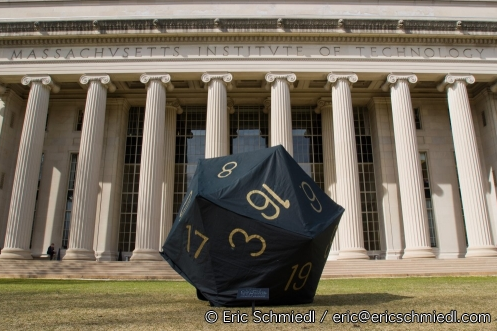 MIT knows how to Durdle! Each player has their own die. Everytime a player ‘durdles’ their die number increases. When the game is over, the player with the highest Durdle count wins (just kidding)! This tracking leads to activating Sensei’s Divining Top when there are two Howling Mine in play, and other humorous activations. Durdling is part of many EDH games, and adding “The Durdle Die” will make the 3rd Top activation in a turn more entertaining than frustrating. I have some space before closing out today’s article so it’s time for a deck dump. Be forewarned the following deck is believed to do ‘things’ but not necessarily win the game. It may lead to complicated spell-stacks and irritated opponents. Do NOT build this deck if you’re new to the game. DO build this deck if you’re looking to improve your ability to interact with the stack, priority passes, and library manipulation. This style of game play isn’t for every group; in fact if you enjoy playing this type of deck, you must make sure you’re able to make decisions quickly. I would encourage you to make your decisions and not allow yourself a ‘redo’, you already by default are going to take longer turns and screwing up deck manipulation will improve your decision process the next game. 2) Top deck manipulation: These are the durdlers, Sensei’s Divining Top, the cantrip cartel, Thassa, God of the Sea, Soothsaying. 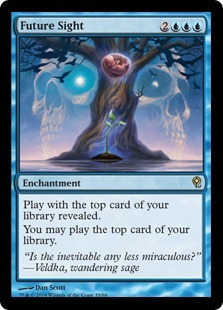 Mirri’s Guile, Sylvan Library, Crystal Ball, Tutors and every spell with “scry” stapled to it. The majority of these spells are already playable in EDH, but in conjunction with our ‘Future Sight’ effects or Miracles you can gain extra value and synergy. 3) Shuffle effects: Anyone who has played Counter-Top is in legacy knows the value of shuffle effects. That advantage is translated here. While we are largely capable of manipulating the top 2-3 cards of our library occasionally you will need to shuffle to find a new set of cards to manipulate. The best part is? Most of them you already run: Fetch lands, Wood Elves, Solemn Simulacrum, Sakura-Tribe Elder, Fertilid, ect. All provide ramp that you would be running, but now can be flexed for additional value later in the game when you need. 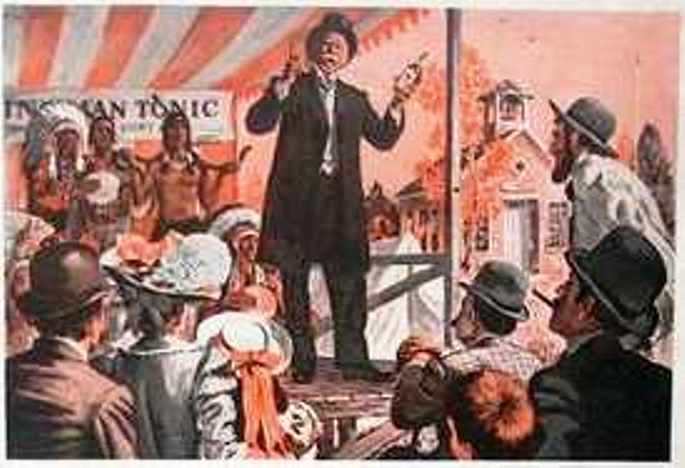 4) Miracles! : This debated mechanic finds a happy home in EDH and even happier here where we can manipulate the top of our library to affect our first draw each turn. You can see we loaded up on them for the theme. 5) Top Deck Value Engine: Or “50 cent rares that do silly things due to durdling”: Call of the Wild, Counterbalance (which I believe is perfectly balanced in EDH), Arbiter of the Ideal, Momir Vig, Simic Visionary, Zoologist. If this deck ever has hope of “doing something” it’s because of these value engines. Each one can provide incremental advantage dependent upon the top of your library. The above deck can be described as a giant durdly pile of synergy. 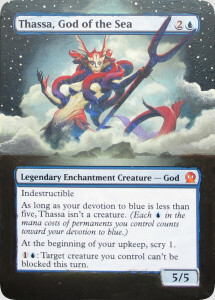 As I’ve yet to physically build the deck I can only mention that this deck looks delightfully fun, and as one of our resident Blue players I felt it was appropriate to name it after Blue’s token critic. If you’re a big fan of durdling? Give it a spin, and let me know! Neither the Bling Count or Durdle Die impact the Winner of the actual game, it gives players entertainment when a winning a game isn’t their goal. How high can you get your Durdle Die? In two weeks I’m going to dissect Wizard’s attempt at Horde Magic (the Born of the Gods Game Day Side Event). I had the opportunity to play it as intended, and I’ve never been more disappointed. I’ll break it down with what works, what doesn’t work, and what I’ve done to make it function as intended. BONUS FOR BOSTON READERS: I’ll be in Boston March 22nd looking for things to do. If you have any suggestions let me know. If you want me to meet up at your local shop for some EDH (assuming it’s near a T station) send me the details either here in the comments or email/twitter.